HomeExhibitionMy First Exhibition - Painting for Charity! In my previous post, I explained about how I decided to organize painting exhibition. Now, I am describing my experience in brief. I would consider it fairly successful, as I was able to sell two paintings worth Rs.2000 (two thousand) each. My main aim was charity (100% of the profit). So, my cost of the paintings was mainly for framing which was around Rs.500 for each painting, and the cost of art materials like paint, brushes, cartridge paper, etc was approximately apportioned at Rs. 200 per painting. So, the total cost per painting is Rs. 700. This follows that, profit was Rs. 2600 (two thousand six hundred) out of which, 1300 goes to Leo Club of Bharatpur and remaining 1300 goes to Help Nepal Network! 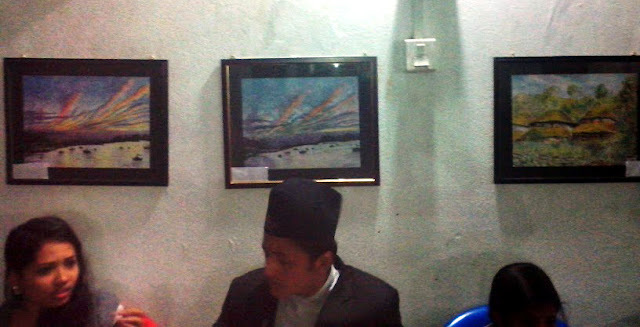 I have sold three other paintings (unframed) previously to Peter Christian Lagendorf, founder of suknepal.org, worth Rs. 5500, all of which will go to Help Nepal Network as the cost of framing is removed. 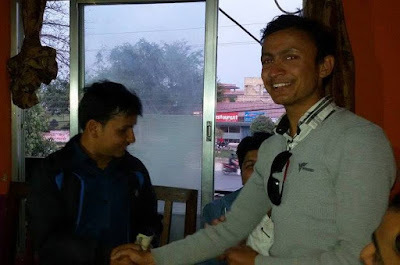 So, total fund for Help Nepal Network is NRs, 6800. However, I'm yet to realize all the fund in cash! Hope I will realize that soon. I only remembered to shoot the photos of the exhibition at the evening. Here are a few shots taken by me. I will update other photos if available. The good aspect of the exhibition was that it was my first exposure, was coordinated fairly easily, and that no one was pressured to buy a painting. The bad aspect was that it was a bit cornered, and didn't attract people's immediate attention as it was a sub program. Anyway, it was a good experience for me. I invented a beautiful way to create price tags. The price was stated on one side, and labelled as "SOLD" on another side. So, whenever a painting sells, it's tag would be switched to another side. That was really cool. A small co-ordination problem was experienced, and lack of complete information about the another program, created confusion while setting the flex banner and planning the hanging of the paintings. However, the exhibition was conducted for very short period of time and therefore, I consider it successful in overall. I had thought I would post a separate article to discuss about the charity, but I was busy and couldn't find time to do so for a long time. So, I thought I would append the information here itself. I handed over Rs. 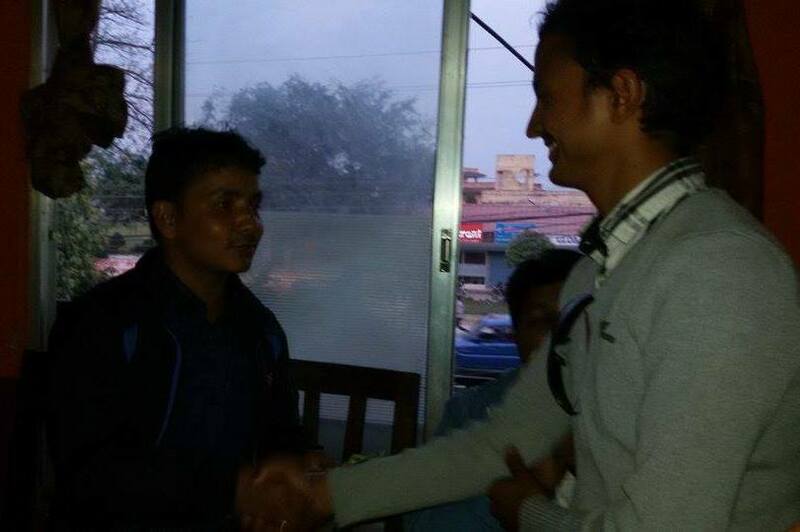 1300 to the Leo Club of Bharatpur's ruling president, Mr. Santosh Majakoti, on a board meeting of the club on the evening of March 20. Similarly, I also donated 3 cartoon of noodles worth Rs. 1400 to the Leo Clubs' "Earthquake Relief Material Collection" program, on the aftermath of the April 25 devastating earthquake. Previously, I was planning to donate that money to Help Nepal Network.